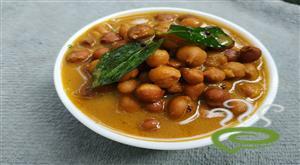 Parippu Easy is a protein rich nutritious curry prepared with moong dal or cherupayar. 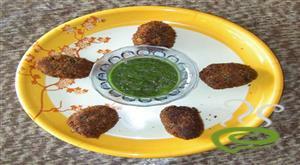 Parippu Easy goes perfect as a side dish with chappathi and even rice. 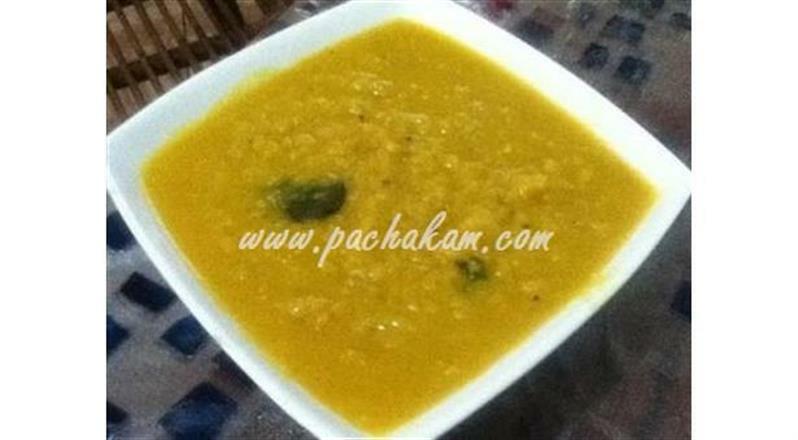 Parippu Easy is a unique tasty dish with green gram or moong dhal blending well in thick coconut based gravy. 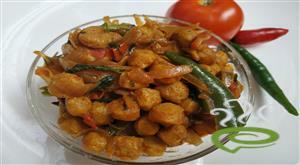 Parippu Easy is very easy to prepare and very nutritious too. Green gram is protein rich and very beneficial for human body especially for vegetarians who abstain from eating poultry dishes. 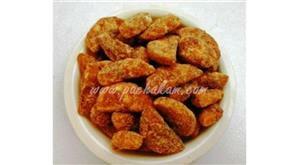 You can explore a well illustrated Parippu Easy dish here. For preparing Parippu Easy, first heat ghee in a thick bottomed pan or kadai. Roast the green gram till it turns light brown. Add the fried green gram and cook till done. Mash the cooked dhal well and add salt and turmeric powder. Mix well. Grind together grated coconut, cumin seeds and garlic. Mix the above ground mixture with the mashed dhal by adding little water. Simmer for a little while till they get blended well. When done, remove from fire. 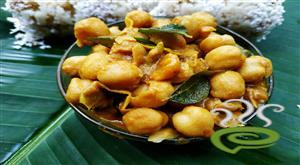 Add the coconut oil and curry leaves and mix Parippu Easy well. 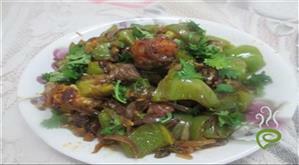 :- Make sure the curry doesn't become too thick. 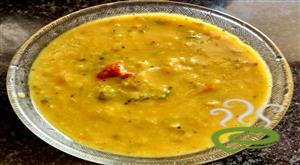 If 2 cups of water is not sufficient to cook the dhal, you can add it as reqd. Very good..r u from pathanamthitta? 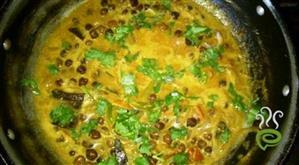 I made parippu curry for the first time....Thank u very much for ur recipe....it came out very well....!!! Nice one. It turned out better than I had thought. Keep up the good work!!! its very easy to make. its very good too.